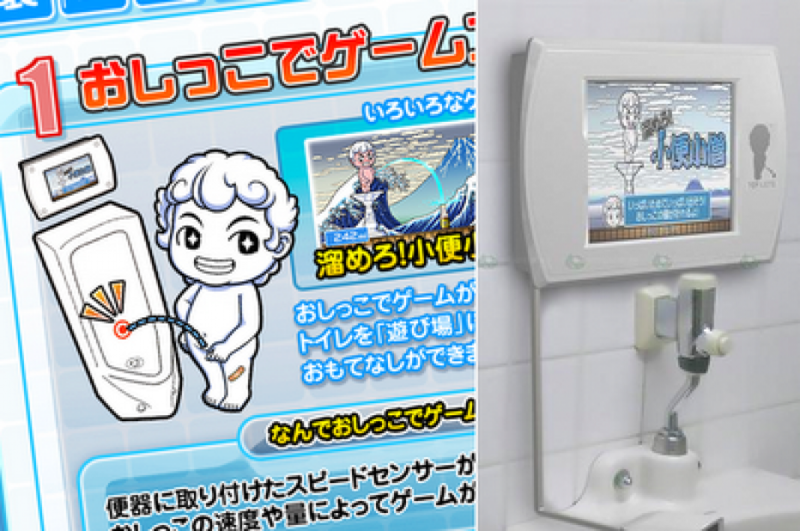 The Japanese game developer Sega has come up with a new rather unusual product. The company has created a toiletgame console that you can use to play games while using the restroom. But that’s not everything – the Japanese company has already demonstrated its latest invention in Tokyo, Japan. The device, called Sega Toylet, works by providing a number of mini games that can be played on its LCD screen that is mounted on a wall. In order to play a game all you need to do is just pee. The game console is now available for purchase for 1748 USD. One game for the Sega Toylet console costs 125 USD. The Sega Toylet can also be used to make money – in this case you need to purchase a coin collection box that sells for 312 USD.